Looking for something unique? 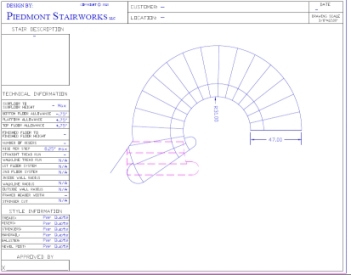 Piedmont StairWorks can offer ideas and solutions for any project and uses the latest CAD software to design all its stairs. We can even send the finalized design to your architect to insert into your plan. Whether adding a second floor to an existing house, creating a custom stair that's like no one else’s, or designing new construction, Piedmont StairWorks has the knowledge and expertise to see your project through from start to finish.